Yesterday, I posed the question, “Are Tom Telesco and Magic Mike McCoy Throwing Out the First Pitch for the Padres Home Opener?” After a little digging, and a little help from Joel Price, the Director of Digital Media for the Chargers… I have confirmed that Magic Mike and Kid Dynamite are lined up to throw out the first pitch for the Padres on Friday, April 12th (not the home opener on the 8th, as surmised). 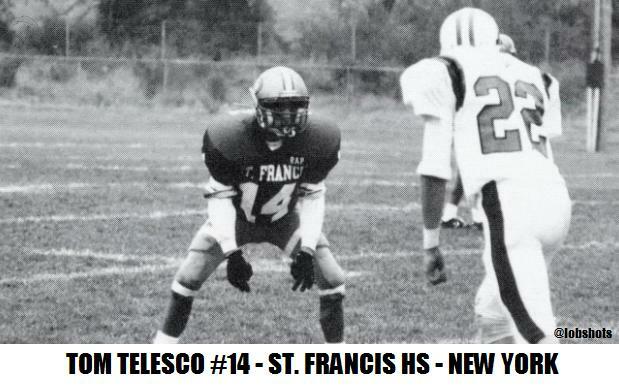 One of the questions I posed is WHY they chose those jersey numbers. How in the world did they decide on #14 for Kid Dynamite and #10 for Magic Mike? Currently Mark Kotsay wears number 14, and 1st base coach Dave Roberts wears number 10. Well, they’re athletes, that’s why. 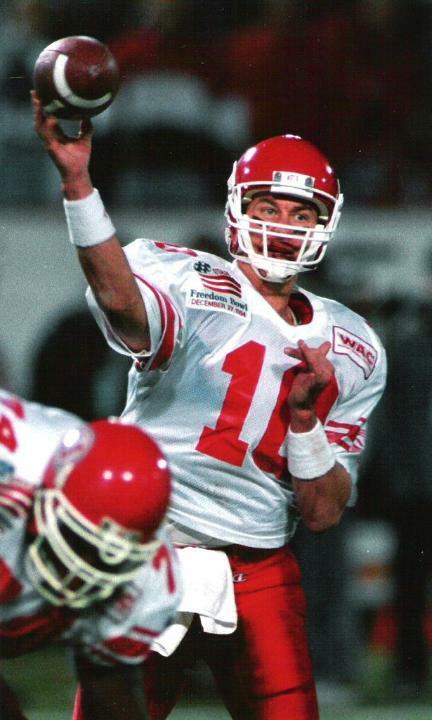 Here’s Mike McCoy as QB for Utah. Number 10. 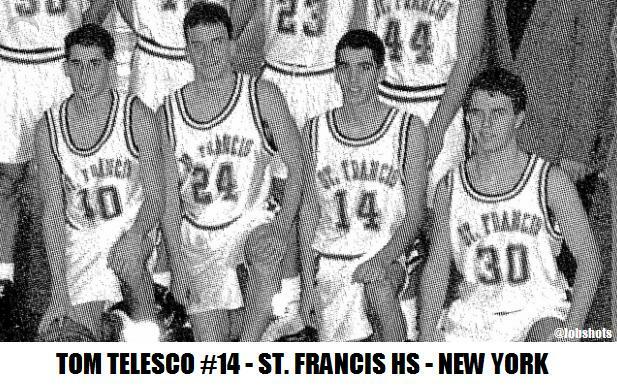 Photos of the athlete Tom Telesco were a little harder to come by… number 14. I pulled the image of McCoy here and I screengrabbed these images of Tom Telesco from the Chargers’ interviews with him on their website. I’m sure Dave Roberts and Mark Kotsay won’t mind. I’ve been getting a lot of questions about if the Padres are going to sell these jerseys. That seems pretty weird to me. Not sure why you’d want to wear a Pads jersey of the Chargers GM and head coach. Kinda creepy actually. I do, however, understand the want for a Bolts patch on your sleeve. Don’t think they sell that either, but you can certainly add your own and take it in to sports shops that do that kinda thing. 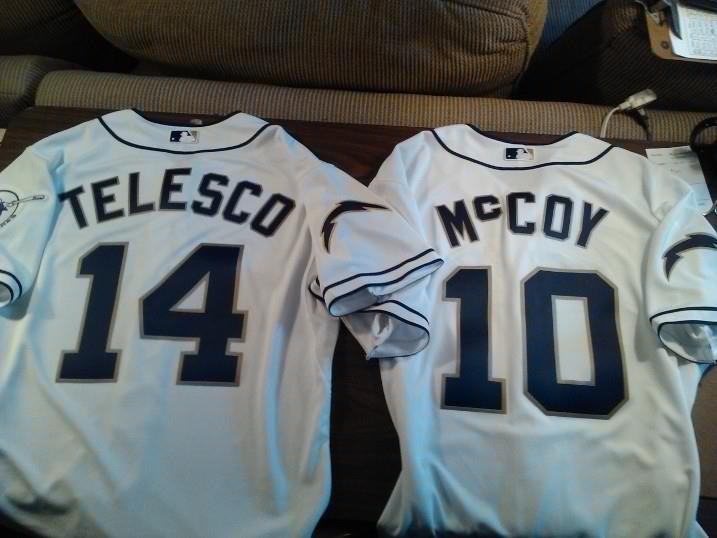 Hell, you could even customize your own McCoy and Telesco jerseys if you do indeed have an obsession with the new Chargers’ hires. This entry was posted in Baseball, Football, MLB, NFL and tagged Are Tom Telesco and Magic Mike McCoy Throwing Out the First Pitch for the Padres Home Opener?, Chargers, magic mike mccoy, Padres, tom garfinkel, Tom Telesco. Bookmark the permalink.